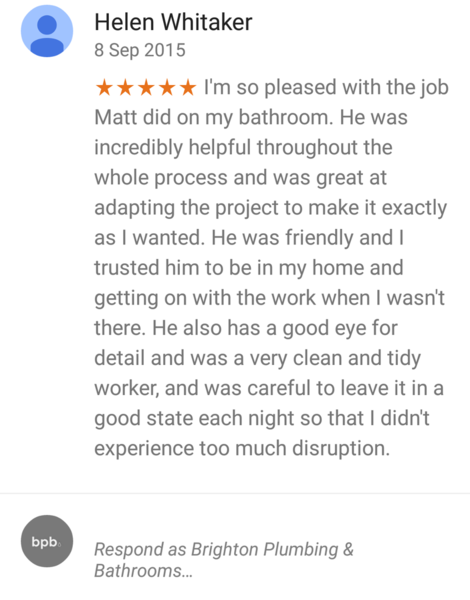 "Matt is a fantastic person to work with. He very much listened to all of our ideas, consulted us when there was room for choice and gave us his professional opinion to ensure we made the right choices. 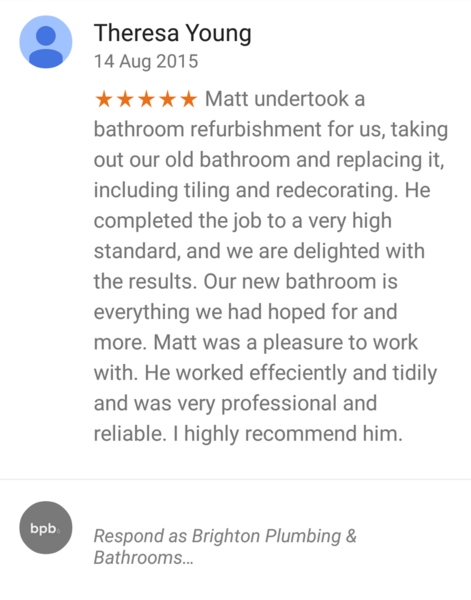 He's a really efficient worker who kept us updated every step of the way and was very reliable, trustworthy, neat and tidy and respectful of our home". 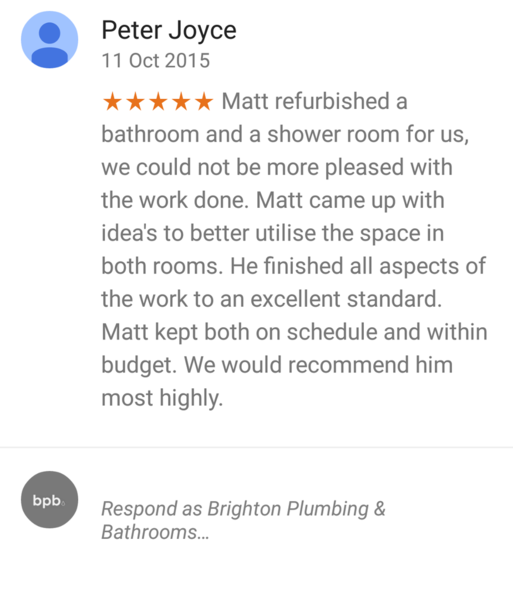 "Matt and his colleague have been a pleasure to work with. The job involved a complete rebuild of the old tired bathroom into a great new wetroom. 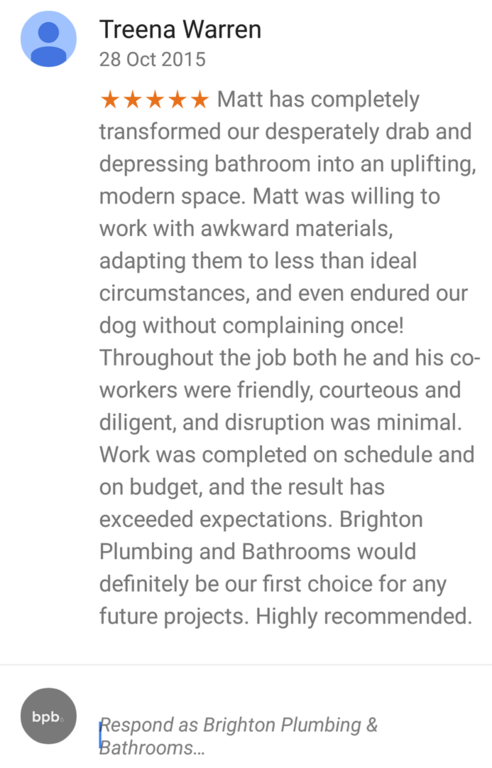 Matt is not only very experienced, diligent and capable in performing the job, but also very personable with strong communication skills. He understood the vision precisely and was able to offer advice/flexibilty before and during the renovation. Am delighted with the results and will definitely work with Matt and co. again. Sam"